Want Stories on your website, directly from your Instagram story? Click here! Snappd is an app for creators and viewers to make more of their stories & discover the best mobile videos. Is there a way to embed a Snapchat story on a website? Yes! You have just made a great story on Snapchat (or Instagram) what happens next? If like me you don’t want your story to go to waste, keep reading. 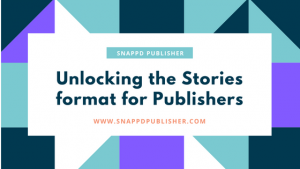 Continue reading Is there a way to embed a Snapchat story on a website? Yes! Posted on July 13, 2017 July 13, 2017 Author RussellCategories UncategorizedTags embed, medium, snapchatLeave a comment on Is there a way to embed a Snapchat story on a website? Yes!